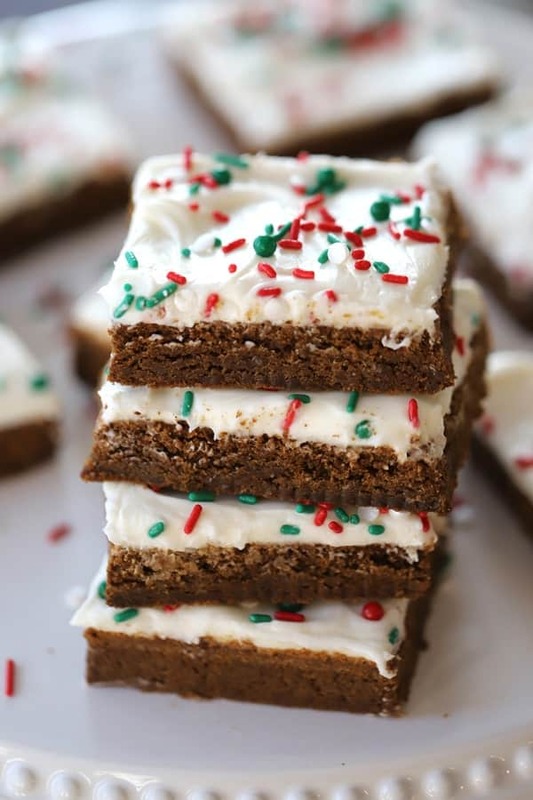 These Gingerbread Cookie Bars are incredible! They are the perfect Christmas cookie. They are packed with all your favorite holiday flavors. These cookie bars are soft and chewy. 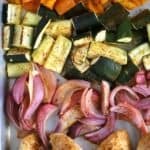 Your family is going to love them! 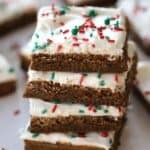 If you love all the sweet and spicy flavors of gingerbread cake bars and gingerbread house bars, you are going to love this chewy gingerbread bars recipe. These gingerbread dessert bars are so much easier than making a bunch of gingerbread men. I’ve even heard of these gingerbread bars as a gingerbread man bar. This gingerbread bars recipe can be mixed up in only a few minutes. These easy gingerbread bars are perfect for any BBQ, family gathering or a Thanksgiving dessert. 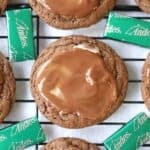 If you’re a big fan of gingerbread men, gingersnaps, or molasses cookies, well then, this is the cookie for you. 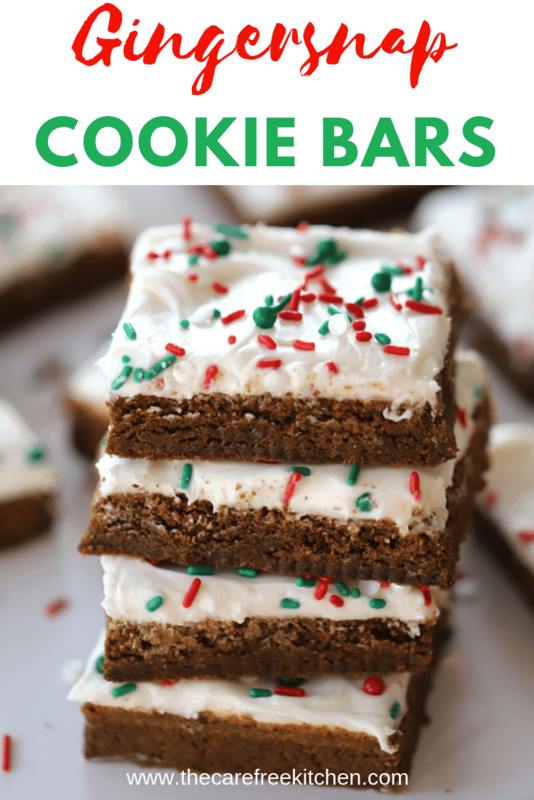 These cute little Christmas cookie bars are all you need! They are soft and chewy and are slathered in a delicious cream cheese frosting. Your family and friends are going to love them! These are always on our holiday baking list, certainly perfect for Thanksgiving or Christmas or any ‘ol time of the year! Looking for some other Cookie recipes, you’re gonna want to try these Christmas cookies! 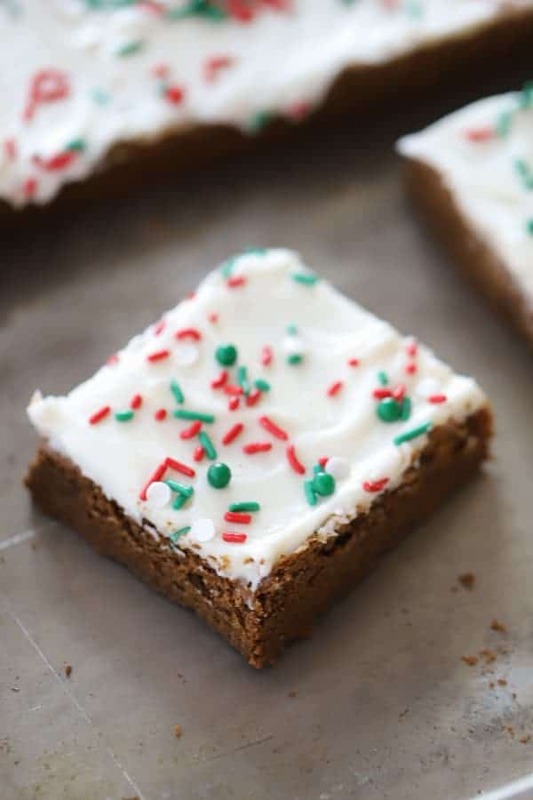 These gingerbread cookie bars are incredible! All the flavors of gingerbread you love, in cookie bar form! These cookie bars are soft, chewy and the perfect holiday cookie. 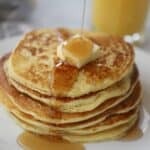 In an electric mixer, combine sugar and butter and beat until the butter and sugar is fluffy. Add the eggs, one at a time stirring until incorporated. Add then add the molasses and mix again. Spread the gingerbread cookie dough onto a large greased cookie sheet, 26" by 18". 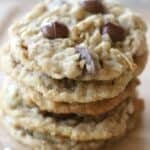 Try to get the cookie dough even in all areas of the cookie sheet. 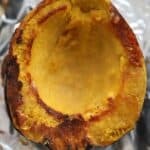 Bake in a preheated oven at 350 degrees for 18-20 minutes, or until golden brown on the edges. Take the cookie bars out of the oven and let them cool. In a large mixing bowl, combine the cream cheese, butter, and vanilla. Be sure to beat until light and fluffy. Add 5 cups of Powdered sugar and beat until well incorporated. Slowly add in 1-2 Tablespoons of milk until the frosting is light and fluffy. Spread the cream cheese frosting on the cookie bars. Add sprinkles if desired. Enjoy! I’d love to connect with you on social media, so be sure to find me!